This is an amazing opportunity for a young and energetic applicant, with or without a degree, to experience two countries on one program. Gain an internationally accredited and recognised TEFL qualification on the beautiful Koh Samui island in Thailand for 4 weeks and then start working as a teacher in Phnom Penh in Cambodia. All job placements are 100% guaranteed and will be confirmed during your training on the island. Phnom Penh, Cambodias busy capital, sits at the junction of the Mekong and Tonlé Sap rivers. 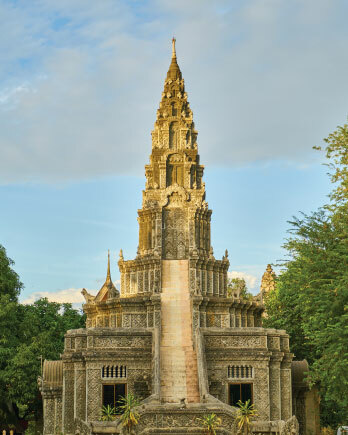 It was a hub for both the Khmer Empire and French colonialists. On its walkable riverfront, lined with parks, restaurants and bars, are the ornate Royal Palace, Silver Pagoda and the National Museum, displaying artefacts from around the country. At the city’s heart is the massive, art deco Central Market. Earn between US$1000 to US$1500 per month on a valid work visa. NO VISA RUNS OR BORDER RUNS NEEDED ANYMORE! Low cost of living and above average salaries, makes Cambodia the perfect destination for young travellers who want to save or travel to other Asian countries alike. Airfare (approx) R12 500 - this is merely an approx. Do you hold a South African Passport? Do you understand that you will need to complete a 3 week TEFL course in Koh Samui, Thailand? Do you understand that you will be teaching English to children between the ages of 3 to 16?